ASUS India has just launched a new mid range smartphone ASUS ZenFone Zoom S for consumers in India. This is basically the Zenfone 3 Zoom smartphone unveiled in United states in May 2017. ZenFone Zoom S comes with a full metal body constructions and sports a 5.5 inch Full HD 1080p AMOLED display with Corning Gorilla Glass 5 protection, powered by 2.0 GHz Octa-Core Snapdragon 625 processor with 4 GB of RAM. It comes with 64 GB of internal storage and runs on Android 6.0 Marshmallow based operating system with Zen UI 3.0 on top of it. It is backed by a massive 5000 mAh battery just as their earlier Zenfone Max smartphones. In terms of connectivity, it supports 4G LTE along with VOLTE. In terms of camera, Zenfone Zoom S comes with a dual camera module at rear consisting of 12 MP Sony IMX362 sensor with dual-tone LED Flash, PDAF, Laser AF, f/1.7 aperture, three-axis EIS, four-axis OIS, 2.3X optical Zoom and another 12 MP secondary camera with f/2.0 aperture & 5P Largan lens. The front shooter is a 13 MP Sony IMX214 sensor with f/2.0 aperture. 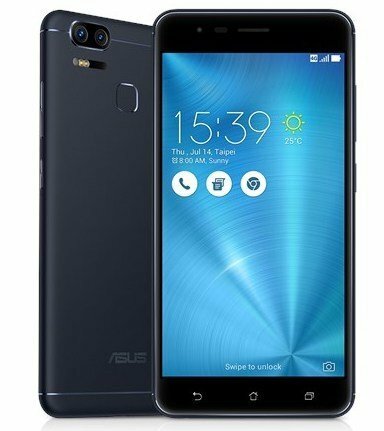 ASUS ZenFone Zoom S priced at Rs. 26,999 (~$420 ) will be available exclusively on Flipkart in Navy Black and Glacier Silver colour options.